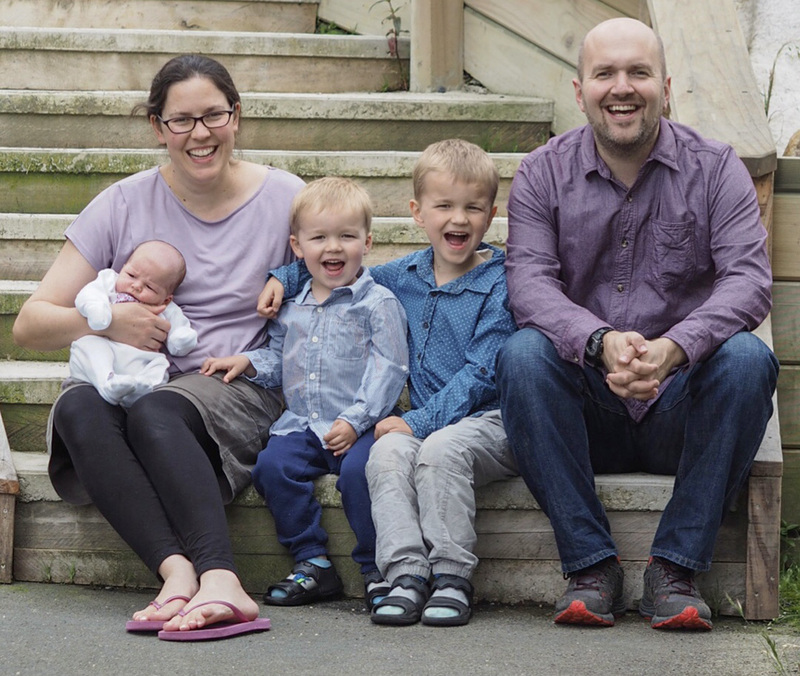 Transported from Vancouver, Canada where we met and married (ask about our geeky first date), we now live in Dunedin and coordinate the work of TSCF in Otago and Southland. Our family has grown to include two chickens named Chelsea and Feathers, our sons, Peter and Wesley, and our daughter Nyree. Jen: Since our family has grown, I’ve spent less time on campus but still love to meet up with students for conversations about how faith impacts all of life, and see students changed by encountering Jesus through his Word. I also enjoy growing food in our garden with the “help” of our boys and dig a good compost. There is definitely crossover with garden pursuits and involvement with TSCF: watching plants and students grow, and not always knowing which things will take and flourish till later. James: Two of my long-time passions are teaching and caring for others. I get to express this in various ways as a team leader—supervising the staff team, training student leaders, and meeting with individual students. A highlight of the last few years has been discipling the local ministry interns (“Minterns”). In 2016 I became Minty coordinator, and look forward to working with interns across the country. I also work alongside the leaders of the Otago Christian Medical Fellowship as they share the gospel with their classmates and think through what it means to be a Christian medic. I am still getting used to the level of excitement that the students show about the insides of the human body and the effects of infectious diseases. In my spare time I am developing the perfect pizza sauce, enjoy watching Marvel movies and reading books by Terry Pratchett. As a family we’re excited to be living in one of the four TSCF community houses on Bank Street, leased for 2019. In true Dunedin style the houses have a name: the Quarters. If you come visit us, you will see why. Together with the 22 other residents—Simon and Rosie Sim (TSCF staff), 19 students, and one graduate—we have committed to meeting for shared meals, shared spiritual practices, and to reaching out to the community around the houses with the gospel.